Okay, just kidding about the number 1047, though I think it’s a close approximation! Progress continues, albeit slowly, on the back porch. My hubby, Mr. Project (a.k.a Scott) has been finishing it all himself. 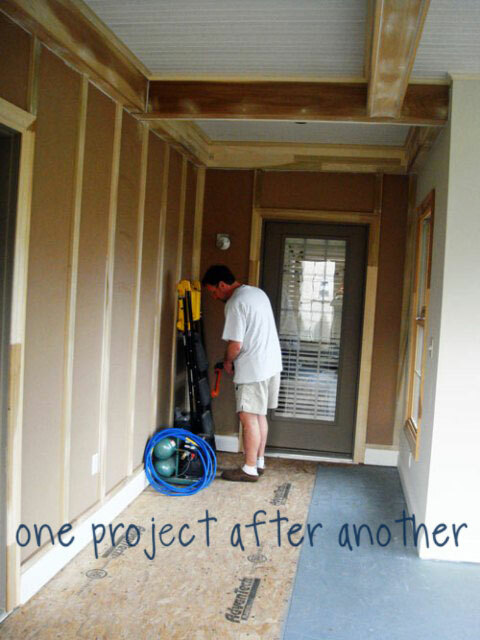 He completed the board-and-batten panels and the baseboards this week. Next up: Painting. This is exciting – to me. This is only exciting to him because it involves a new tool. 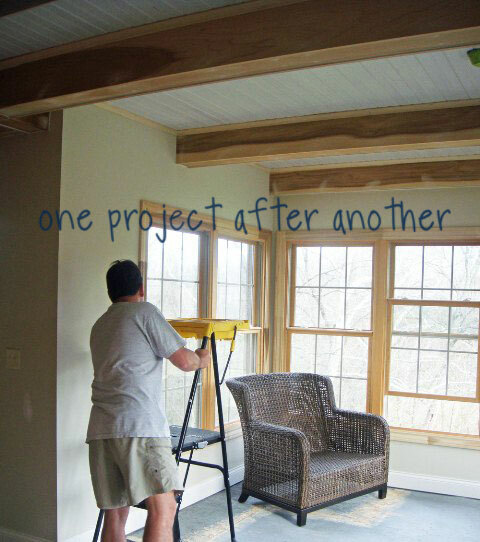 Mr. Project’s standing policy is that for every project which he tackles himself and doesn’t have to pay someone else to do, he buys himself a new tool with the savings. He has amassed an impressive number of tools which fill his workshop. The newest one for this project? Yep, a paint sprayer. He spent yesterday prepping the room. (I still cannot decide whether to call it a back porch, a sunroom or a three-season room!) This morning was spent thinning out the paint to the correct consistency (or rather, viscosity to be technical) to be used in the sprayer. Notice the coffee cup in the right bottom picture. This is an important item required for the task! 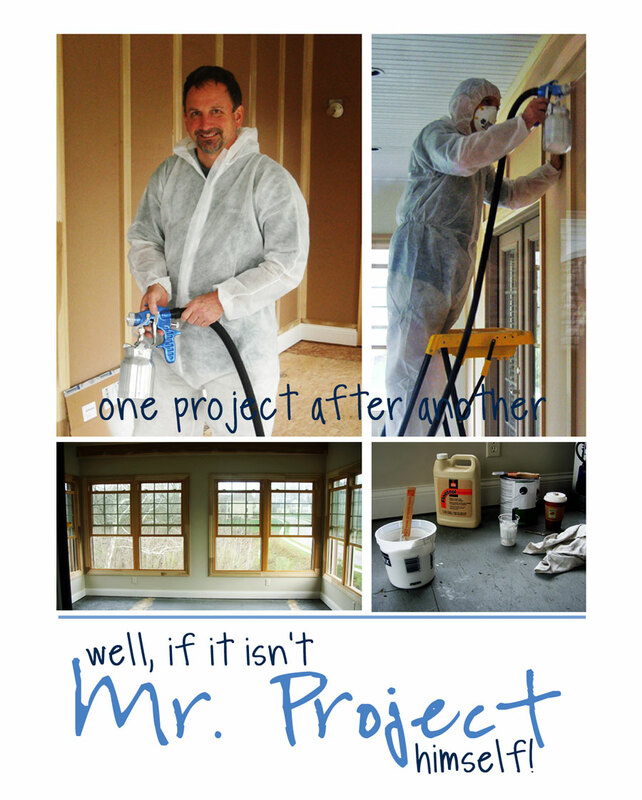 With the wall of paneling and the beamed ceiling, you can see why a paint sprayer was required! So, what would you call it? Back porch? Sun room? Three-season room? I think I’ll stick with calling it the back porch.